Becoming a member of the RCVS Knowledge Library gives you access to an unparalleled collection of resources and support. As a member you can choose to browse through hundreds of thousands of articles from over 70 leading veterinary journals from around the globe and carry out literature searches on VetMed Resource, the world’s largest bibliographic database on veterinary medicine. You get all of this amazing content for a membership fee less than the cost of two annual journal subscriptions, as well as assistance from our team of Information Specialists. 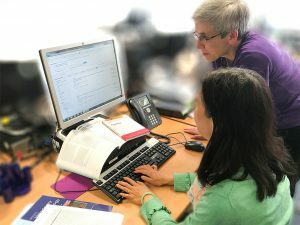 Our library experts can provide workshops on searching effectively for the literature you need, support you in setting up your own journal club and even help you put together local practice guidelines.